Fulton, NY – Oswego County Opportunities will hold its 12th annual bowling tournament fund raiser on Saturday, April 13, at Lakeview Lanes in Fulton. “This year’s event was dubbed the ‘Lucky 13’ Bowl-A-Fun because it is taking place on April 13,” said Diane Cooper-Currier, OCO’s executive director. 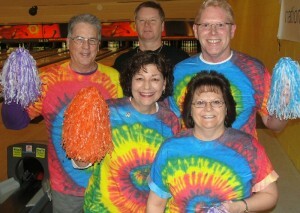 The ‘Lucky 13’ Bowl-A-Fun takes place from noon – 6 p.m. at Lakeview Lanes in Fulton. Registration opens Feb. 1 for five-person teams, with choice of flights: noon – 2:30 p.m. or 3 – 5:30 p.m. (first come, first served). Every level of support makes a difference, Cooper-Currier continued. “At OCO, more than 90 cents of every dollar received goes right back out to help people. That’s much higher than the national average for non-profits in the United States. You can give with confidence that your money is working hard to combat the forces of poverty and homelessness close to home,” she said.